A dedicated cataract centre has been formally opened at Nenagh Hospital, which aims to reduce waiting lists for procedures by over 2,000 by the end of next year. At present however, it is only opened one day of the week, providing up to 12 procedures. An investment of €1 million to equip two theatres and specialty rooms has now made Nenagh a centre of excellence for the procedure. The only other dedicated centre is at the Eye and Ear Hospital in Dublin. 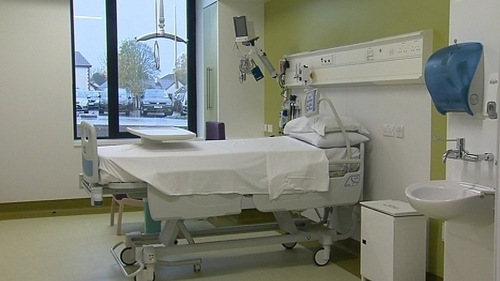 The HSE has said it is expected the centre will be open five days a week to carry out surgical procedures by early 2019. Up to 200 procedures will be done by the end of the year, and 2,000 by the end of next year. Minister for Health Simon Harris formally opened the new centre today. He said considerable progress had been made on cataract waiting lists, down from 10,000 last year to 6,600 this year. Dr Marie Hickey Dwyer, a consultant ophthalmic surgeon at Nenagh, and also a past president of the Irish College of Ophthalmology said the new clinic will give them more capacity to tackle waiting lists, and they had been calling for the investment for some time. However, waiting lists nationally for people who need ophthalmic procedures remain very high. Over 41,224 people were waiting for an outpatient or surgical procedure at the end of September. In the mid-west region, there are over 4,200 people waiting for an initial eye clinic appointment, and almost 1,000 more waiting for an impatient or day case procedure - 63 for more than 18 months. A new 18-bed medical unit providing 16 single room units, and one two-bed unit was also opened at the hospital today. Part of this will be to provide end of life care for patients, and has been named the Gloster suite after the late Alice Gloster of Rathnaleen in Nenagh. She left a large bequest to the Friends of Nenagh Hospital Group to fund such a unit, and it has been named after her in line with her wishes.